Stepping into Kennall Vale Nature Reserve on the outskirts of Ponsanooth, I discovered a magical, romantic woodland with an intriguing, explosive past. For obvious reasons, Cornwall is generally synonymous with dramatic seascapes so it’s easy to forget that it has some enchanting inland scenery too. Kennall Vale is one such place. 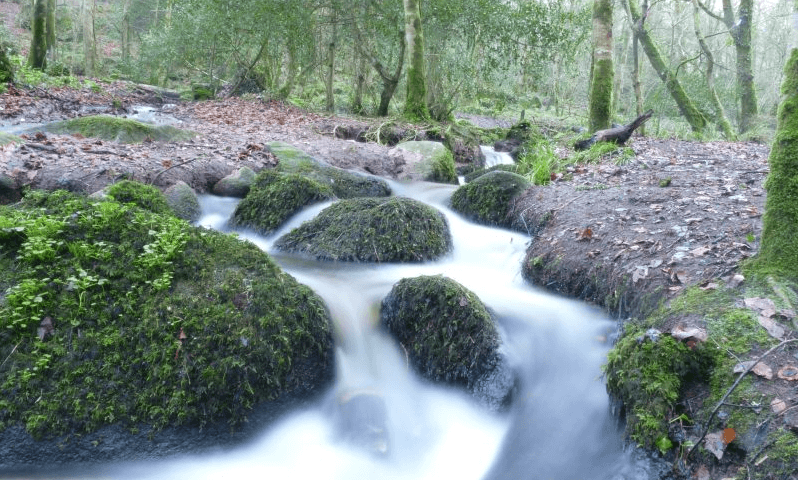 Hidden away off the A393 Redruth to Falmouth road, it’s an unlikely wildlife haven and the perfect place for walking and exploring. Not that its past was peaceful. Whilst today birdsong and the sound of running water provide a gentle, beguiling audio backdrop to a quiet wander, the noise of yesteryear was far more jarring and invasive. So much so that huge numbers of trees were planted to help absorb the daily cacophony and occasional, ear-splitting blasts. Why so much loud activity? Because this was the site of the most successful gunpowder works in Cornwall. Read the information boards and you’ll discover that, in its early nineteenth century heyday, around 50 men worked out of 56 buildings in Kennall Vale. Harnessing the power of the fast-flowing River Kennall which falls rapidly through the valley, they were busy making about 4000 barrels of gunpowder each year – mostly for local mines and quarries but some for worldwide exportation. It was a very successful business but one that brought many obvious hazards. In 1826, local resident Elizabeth Rutter visited what was known as the Mixing House with a basket of hot roast potatoes for the three men working there. The well-meant gesture had terrible consequences. A spark from the freshly cooked food ignited the highly unstable mixture being worked on and it exploded, killing Elizabeth, one of the labourers and severely injuring the others. Other such tragedies apparently occurred with grim regularity over the subsequent decades until the invention of gelignite and dynamite brought about a decline in gunpowder production. In 1910 its manufacture at Kennall Vale ceased completely. 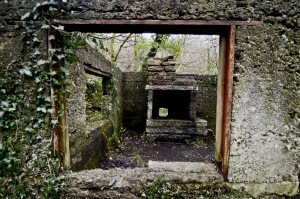 Granite quarrying continued for a while but, when that ended too, nature took over. 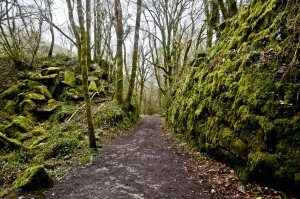 Designated a Cornish Mining World Heritage area, Kennall Vale is managed by Cornwall Wildlife Trust. Paths created for horse and cart provide a circular walking route that meanders past sunny glades and old walls covered in ivy and moss, before plunging down to the impressively thundering river. I loved the atmosphere and the very real sense that Nature always has the last laugh in the end. We humans might think we rule the world with our guns, buildings and technologies but such influence and arrogance is only ever temporary. As lives move on and trends get superseded, Mother Earth gently regains control. That’s what has happened at Kennall Vale and the result is a beautiful, tranquil haven that stirs the senses and excites imagination. Ponsanooth may be a village that many people just drive through on their way to either Falmouth or Redruth but it’s well worth looking at too. I had no idea, for example, that, for several hundred years, it was known for its wool manufacturing as well as its gunpowder works. In 1843, the five-storey woollen factory burnt down after oily wool from the carding machines spontaneously combusted. Fire engines from Penryn rushed out and the blaze was prevented from spreading to adjoining buildings. When visiting, take the time to go into the local shop. In December 2013, it was destroyed by floods but, thanks to the local community who came together to restore it, is now a thriving business selling a wide selection of Cornish produce.